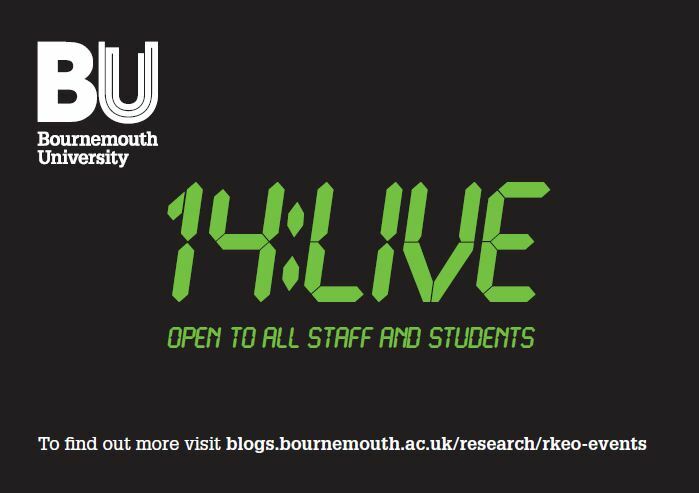 For its second run on 24th February at 14:00, 14:Live returned in fantastic style with a talk by Dr Samuel Nyman, senior lecturer in psychology and a core member of BUDI, Bournemouth University Dementia Institute. Dr Nymans talk gave a very interesting insight into enhancing care services for people with dementia. The talk presented two studies and ended by briefly mentioning current work under this theme and this year’s new Master classes and Master’s degree in dementia. The talk was followed by a truly engaging 15 minutes of Q&A from students with a keen interest in the topic. As always, 30 FREE papa john’s pizzas were given to the first 30 audience members, a yummy treat to complement a fantastic talk. For more information about Dr Samuel Nymans talk at 14:Live in February, please click here. 15th December 2014 VeggiEAT – are you a supertaster?